Handling the Naxalites Use of force can’t suppress discontent by Kuldip Nayar One finds it odd that civil society has not reacted to the Supreme Court’s observation that Indian nationals were not meant to be hunted down by the police in encounters. The court was reacting to the killing of two Maoists in an “encounter” when they were responding to private peace overtures. Why does the government persist in its belief that the force can suppress discontent? Violence is what I detest in solving a problem. Maoists or Naxalites are defaming their movement by using the gun. However, the fact of state terrorism remains. It is not a secret that the state has arrayed the maximum possible force against the Naxals, who are portrayed as the “worst internal security threat” in the country. The most affected area is the Dandakaranya region. This was promised a special rehabilitation deal by Prime Minister Jawaharlal Nehru in 1958 while inaugurating the Dandakaranya Development Authority. That undertaking was never met. Power from the barrel of the gun began to be seen in the late 1960s in areas such as Naxalbari in West Bengal and Srikakulam in Andhra Pradesh. It was only in 1980 that some Andhra groups moved into remote places of Baster in Madhya Pradesh for shelter and training. Their very presence in concerned areas gave the simple tribals some relief against the patwari-havaldar-dafedar trio. The language barrier proved to be the most effective screen for Naxal consolidation in Bastar. The national policy of teaching through mother tongue in elementary classes was buried beneath the compulsory instruction in Hindi. Even learning of tribal dialects by all state functionaries was ignored. The people’s communication with outside world, therefore, was largely through middlemen or a privileged few. The Naxals, on the other hand, established direct rapport with the people in no time. They started attracting the youth to become a part of their cadre with no other rival in the realm of ideas or even information. Abujhamar that had been kept outside the purview of normal administration since 1930s with restricted entry to outsiders became their most favourite area. Thus, here was the most propitious opportunity for the Naxalites to consolidate their hold on a part of Bastar as a “liberated zone”. With the firm resolve to meet the challenge of internal security threat, the state has used every force except the Army in this region. Hundreds of villagers have either deserted their homes or are closeted in camps. Many are moving out to adjoining states. There is practically no chance for a dialogue between the state and the Naxals. The Andhra experience has proved to be a calamity. Yet there are countless special deals with liberal financial assistance for infrastructure and social services for the hither-to-“neglected poor tribals”. The rulers have faulted in the very first step in their perception about the real issues concerning the tribal people. The worst insult which a self-respecting tribal has to swallow in the name and game of development is the tag “poor” given to him by the officialdom and others. This is being done on purpose so that politicians, officials and the elite can project themselves as the well-wishers of the tribals. The bitter truth is that the tribal is not poor but disinherited. Less said the better about the infrastructure and other development programmes. A radical start was made by abolishing the commercial sale of intoxicants in tribal areas (1974) and conceding the ownership of minor forest produce (the 1976 conference of tribal and forest ministers). These vital decisions and the need to raise the level of administration were forgotten by the end of the decade. However, an array of fortune seekers rushed to the tribal areas in the real style of gold rush. The tribal people in India have their respective territory. They manage all their affairs as members of a virtual “village republic” in accordance with their customs and traditions. They depend for their livelihood on the natural resources of their habitat. Although the state is enforcing the model of individual ownership, land even now is not property. The traditional frame of “community ownership and individual use” is still in vogue among many communities, especially in the Northeast. A simple tribal lives in the present, unconcerned about the future. There is no future tense in many a tribal dialect. Theirs is a subsistence economy with heavy dependence on forest and water resources that have been endowed by nature in plenty. The tribal is a “man of word” and proud about the same. It is worth recollecting the incident of a Naga chief storming out of the court with a resolve never to return when a lawyer started cross-examining him. The British had to accept the freedom-loving spirit of the tribal people after a number of unsuccessful expeditions into their territories. They were obliged to face the entire communities. It is a prevarication of history that the British conquered tribal territories. People’s refusal to acknowledge British authority was at the root of some of the major revolts in the tribal areas. There was a qualitative change in the legal regime of the tribal areas with the adoption of the Constitution. Some of the excluded areas and partially excluded areas in various provinces and also some territories in the erstwhile princely states were designed as Scheduled Areas under the Fifth Schedule of the Constitution in 1950. The near-ideal frame of the Scheduled Areas, which has been eulogised as “constitution within constitution” became virtually dysfunctional ironically with the adoption of the Constitution on November 26, 1949. Take the case of Bastar. The traditional system of dispute resolution is so powerful and pervasive that on an average one case in two years is reported per police station in the whole district. But this system has no sanction of law. Therefore, all proceedings in village councils, especially in non-bailable cases, are violations of law. Proceedings can be initiated against one or more members of the village council by some operator or the police, notwithstanding the consensus-reached decision which is accepted fair by all parties in dispute. Yet, the government has ordered “denotification” of some villages in Bastar so that the Panchayat (Extension to the Scheduled Areas) Act, 1966, is not applicable to them. The Act was specifically drafted to give tribal populations control over their lands. The state has not learnt any lesson from its mistake so far. 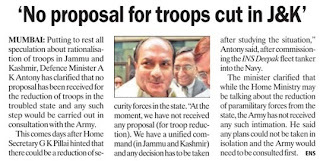 No troop reduction in JK, says Antony Tribune News Service Mumbai, January 21 Putting a cap on all speculation on the reduction of Army troops from Jammu and Kashmir, Defence Minister A K Antony said, “At present we don't have any such proposal.” People who work on the ground, the Army, recommend such matters, he added. The ground working force, he said, “in Jammu and Kashmir is the Unified Command. They have not recommended (any reduction).” If there was any reduction of security forces in Jammu and Kashmir it would be of paramilitary troopers as there was no proposal to reduce military personnel in the troubled state. “There was some confusion. The announcement that was made was about paramilitary forces,” Antony said while referring to Union Home Secretary GK Pillai’s statement on cutting troops by 25 per cent and the subsequent remarks by Army Chief Gen VK Singh that the troops would not be cut, had caused the confusion. Talking on the same lines as the Army Chief, Antony asserted that the Unified Command, in Jammu and Kashmir should take any such decision. 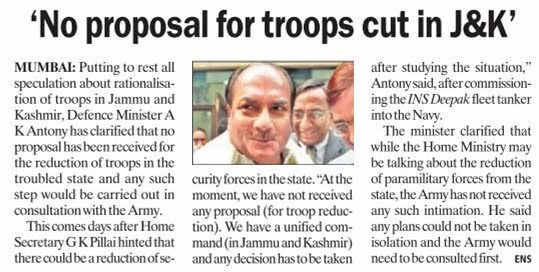 Antony when asked if the stand of the ministry would remain the same on the Armed Forces Special Powers Act (AFSPA), hinted that a status quo would remain. 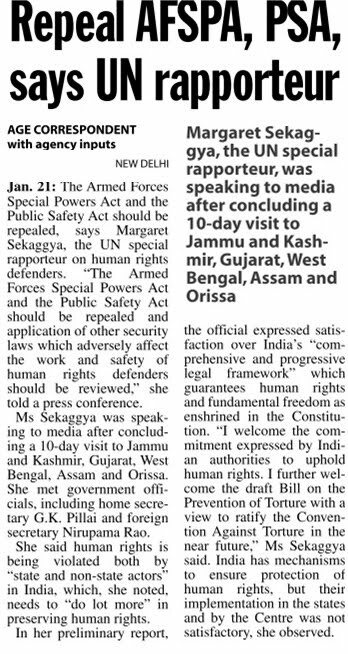 The Ministry of Defence is not in favour of any dilution of the AFSPA, while the Home Ministry is keen on removing Srinagar city from the Disturbed Areas Act, following which the AFSPA would stand automatically revoked in that city. 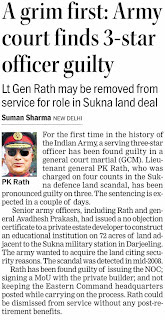 Lt Gen Rath found guilty in Sukna scam Tribune News Service New Delhi, January 21 A court martial of the Indian Army today found the former 33 Corps Commander Lt Gen P. K. Rath ‘guilty’ on three counts in the Sukna land scam in West Bengal that rocked the force and tarnished its image in the latter part of 2009 and early 2010. Lt Gen Rath is the senior-most serving General in the Army to have faced such an action. The quantum of sentence in the case is expected in a couple of days. The Court Martial proceedings were conducted at Shillong and seven Lieutenant -General rank officers led by Lt Gen IP Singh were on the panel to hear the proceedings. Another senior General Lt Gen Avadesh Prakash, who was the Military Secretary to former Army Chief General Deepak Kapoor but is retired now, too is expected to face action. 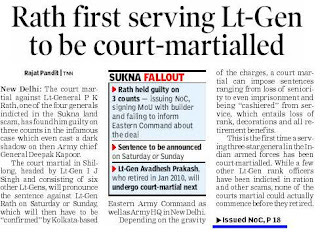 The orders for Lt Gen Prakash' court martial was issued by Gen Deepak Kapoor before his retirement in March 2010. 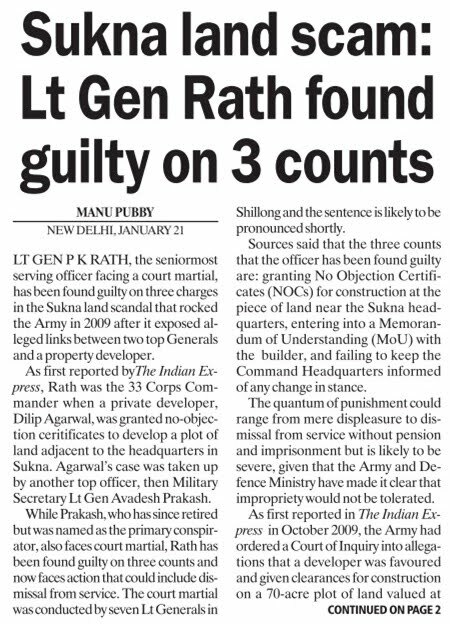 Lt Gen Rath had been charged with intent to defraud the Army by issuing a No-Objection Certificate (NOC) to a private realtor to construct an educational institution on a 70-acre land adjacent to the military station. Among the charges are intent to defraud the army by issuing the NOC “improperly and without authority” and without “due and proper” examination of security concerns of the Army installations; signing a memorandum of understanding with the private realtor to reserve seats in the educational institution for wards of Army officers; not informing the higher authorities about the land transfer, sources said today. The fraud charges could attract punishment from “displeasure to dismissal”. 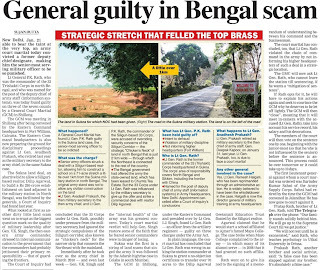 When the scam had come to light in November 2009, the Army had ordered a court of inquiry, which held that Lt. Gen. Rath, Lt Gen Avadesh Prakash, Lt. Gen Ramesh Halgali and Maj Gen P Sen were blameworthy. Lt. Gen. Ramesh Halgali was Lt. Gen. Rath’s Chief of Staff at 33 Corps and Maj. Gen. P. Sen was the administrative head of the Sukna military station in Siliguri district of West Bengal. It was latter established that Lt. Gen. Ramesh Halgali was actually the whistle-blower in the case and had brought the issue to the notice of the Army higher-ups. Maj Gen. P Sen faced minor administrative action, as his role in the whole episode was found to be negligible in nature. The Court of Inquiry had come to the conclusion that Lt. Gen. Avadesh Prakash had influenced the decision of Lt Gen P K Rath to issue the NOC to the private realtor, identified as Dalip Aggarwal of Siliguri. The CoI had led to a stand off between the then Army Chief Gen Kapoor and the Defence Minister AK Antony. Subsequently, Gen. Kapoor was forced to order a court martial against Lt. Gen Rath and Lt Gen Prakash. 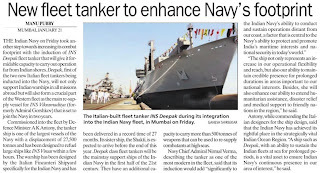 Meet INS Deepak, Navy's new super-tanker Tejas Mehta, Updated: January 21, 2011 19:35 IST ad_title Mumbai: The Navy has a new addition - the INS Deepak was commissioned by Defence Minister AK Antony this morning. The tanker for refuelling ships was constructed and delivered in a record 27 months. The INS Deepak can refuel four ships simultaneously. 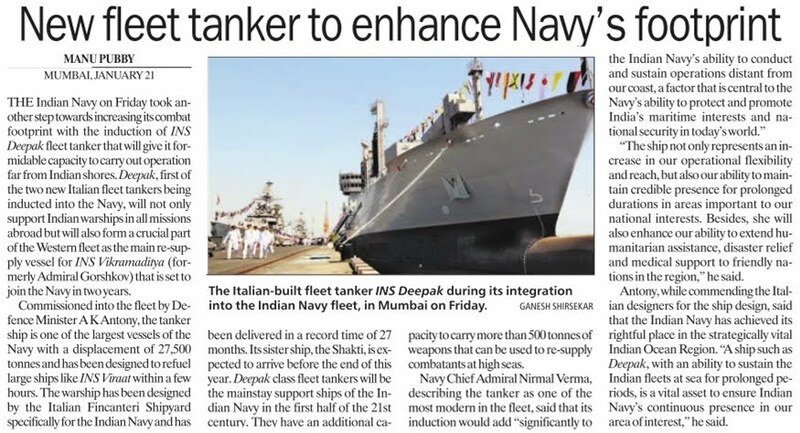 INS Deepak, the Italian-built fleet tanker, is 175-metre long and 25-metre wide. 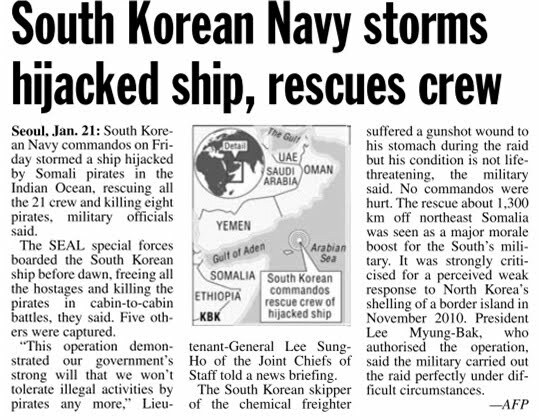 It can carry 15,250 tonnes of liquid cargo, 510 tonnes of ammunition, missiles, and rockets. * Share this on Rediff.com Rediff.com * NDTVTwitter * NDTVNDTV Social * Share with MessengerLive Messenger * NDTVGmail Buzz * NDTVPrint "It is a great moment for Indian Navy and 2011 will see more acquisitions and commissioning to strengthen the maritime security," Antony said after unveiling the ship's name plaque, marking the formal induction of INS Deepak. He said that Navy has embarked on an ambitious ship-building programme to provide it with the required maritime assets to meet its mandate. "Indian defence shipyards are working to their full capacity to meet the country's warship requirements," he said. "India's continued presence in Indian Ocean waters necessitates pursuing our strategic and diplomatic interests; for which a ship such as Deepak, with an ability to sustain the Indian fleets at sea for prolonged periods, is a vital asset," he added. 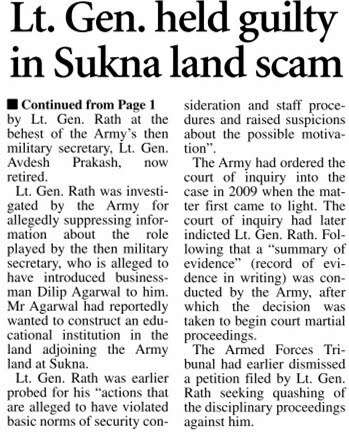 Sukna land scam: Lt Gen P K Rath found guilty on three counts NDTV Correspondent, Updated: January 21, 2011 19:38 IST ad_title PLAYClick to Expand & Play New Delhi: A serving Lieutenant General of the Indian Army P K Rath has been court martialled in the Sukna land scam case. Lt Gen Rath has been found guilty by an Army court of issuing the no-objection certificate to the builder, signing an MoU and not informing the Command Headquarters. Speaking to NDTV, Lt Gen P K Rath's brother Proffesor Pratap Kumar Rath said that they will appeal against the court martial in the Supreme Court. "We are a democracy and are not run by martial law. We're Indians and every Indian citizen has a right to seek final justice from the Supreme Court," he said. * Share this on Rediff.com Rediff.com * NDTVTwitter * NDTVNDTV Social * Share with MessengerLive Messenger * NDTVGmail Buzz * NDTVPrint Earlier, a court of inquiry instituted to look into the case had found Lieutenant General Rath, a former commander of the 33 corps and retired military secretary Lieutenant General Awadesh guilty. 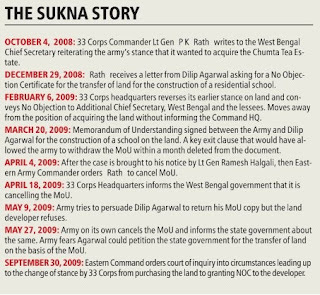 Lt General Rath had given a no objection certificate (NOC) to a private developer to commercially develop a 71-acre land adjacent to the Sukna military station in Darjeeling district in December 2009 despite repeated objections by his own officers. Rath overruled objections of other officers. He also issued the NOC without informing Eastern Command or Army Headquarters. Lieutenant General Prakash, the then military secretary, had influenced Lt Gen Rath to issue a NOC to Dilip Aggarwal, the private builder who falsely claimed to be setting up an affiliate of the Mayo College in Sukna. 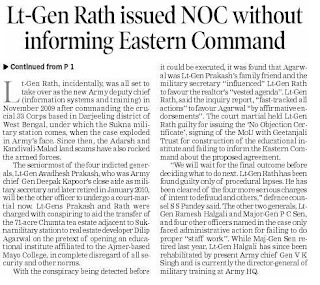 It was Lt Gen Rath's chief of staff, the then Maj Gen (now a serving Lt. Gen and DG, Military Training) Ramesh Halgali who had complained to Eastern Army Command about the NOC. Surprisingly, the then Chief of Army Chief General Deepak Kapoor censured Lieutenant General Ramesh Halgali and five other officers who blew the whistle in the Sukna land scam. Pakistan Army slapped with 120 bn rupees 'bill' for using stadium Indo Asian News Service, Updated: January 22, 2011 00:46 IST ad_title Islamabad: The Pakistan Army has been slapped with a whopping 120 billion rupees ($1.3 billion) 'bill' for using a Lahore stadium for decades by the auditor general of Pakistan. There were tense moments during the proceedings of the Public Accounts Committee (PAC) Thursday when Defence Secretary Lt.Gen. (Retd) Athar Ali accused the auditor-general of Pakistan of maligning the army by sending it a 'bill' of 120 billion rupees for using the Fortress Stadium in Lahore 'illegally' for decades, the Express Tribune reported. Athar Ali spoke up after the attorney-general brought an audit paragraph before the committee that said the army has been illegally using more than a 100,000 square-yard-area of the Fortress Stadium for commercial purposes without any lawful authority. The attorney-general claimed that the rent generated from this commercial activity was deposited into military accounts, not with the government. * Share this on Rediff.com Rediff.com * NDTVTwitter * NDTVNDTV Social * Share with MessengerLive Messenger * NDTVGmail Buzz * NDTVPrint The official was quoted as saying that a total of 120 rupees billion were collected by the military from this activity and that the amount should now be deposited with the government in its consolidated fund. Athar Ali said this was an attempt to malign the army and stressed that the army could not have collected such a huge amount from the Fortress Stadium. The PAC formed a joint committee, comprising members of the audit department and the defence and finance ministries, to probe the matter and submit its report within a month for a final decision, the media report said. Committee chairman Nisar Ali Khan said the army was being brought into disrepute by some individuals for their personal interests, as a result of which the whole institution was paying the price. 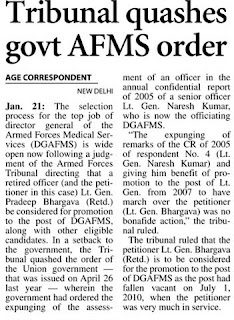 A grim first: Army court finds 3-star officer guilty DNA / Suman Sharma / Saturday, January 22, 2011 3:15 IST For the first time in the history of the Indian Army, a serving three-star officer has been found guilty in a general court martial (GCM). 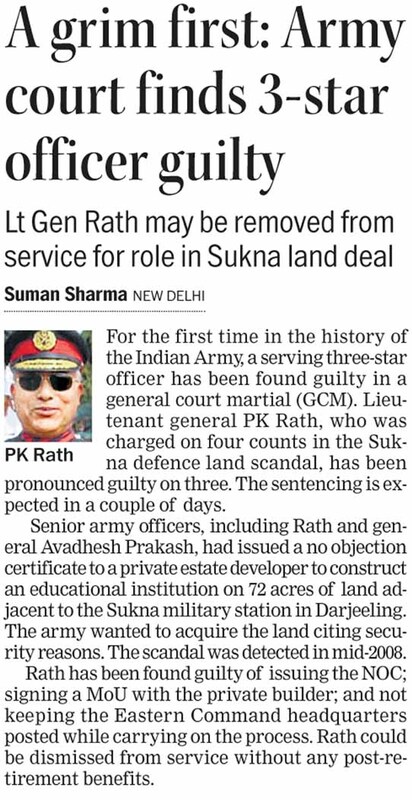 Lieutenant general PK Rath, who was charged on four counts in the Sukna defence land scandal, has been pronounced guilty on three. The sentencing is expected in a couple of days. 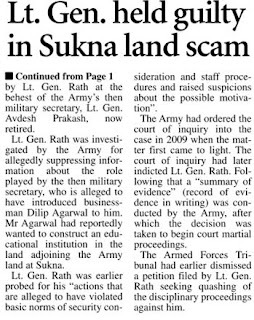 Senior army officers, including Rath and general Avadhesh Prakash, had issued a no objection certificate to a private estate developer to construct an educational institution on 72 acres of land adjacent to the Sukna military station in Darjeeling. The army wanted to acquire the land citing security reasons. 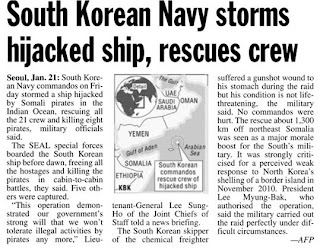 The scandal was detected in mid-2008. 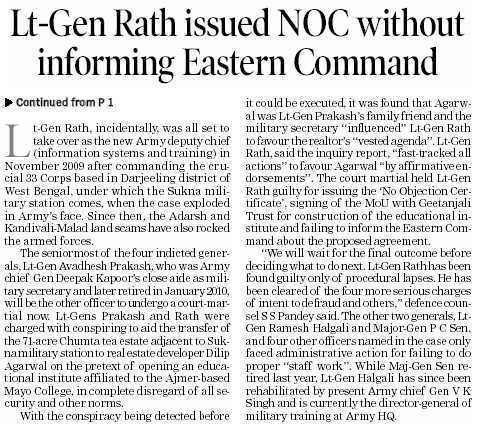 Rath has been found guilty of issuing the NOC; signing a MoU with the private builder; and not keeping the Eastern Command headquarters posted while carrying on the process. Rath could be dismissed from service without any post-retirement benefits. Rath first serving Lt-Gen to be court-martialled Rajat Pandit, TNN, Jan 22, 2011, 02.28am IST NEW DELHI: The court martial against Lt-General P K Rath, one of the four generals indicted in the Sukna land scam, has found him guilty on three counts in the infamous case which even cast a dark shadow on then Army chief General Deepak Kapoor. 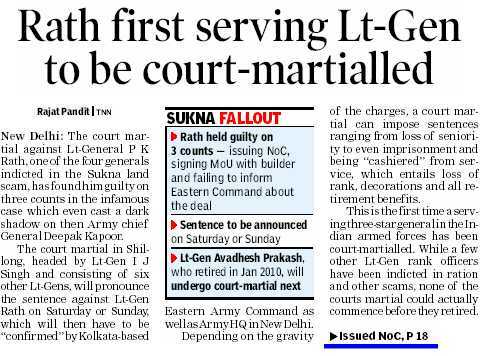 The court martial in Shillong, headed by Lt-Gen I J Singh and consisting of six other Lt-Gens, will pronounce the sentence against Lt-Gen Rath on Saturday or Sunday, which will then have to be ``confirmed`` by Kolkata-based Eastern Army Command as well as Army HQ in New Delhi. Depending on the gravity of the charges, a court martial can impose sentences ranging from loss of seniority to even imprisonment and being ``cashiered`` from service, which entails loss of rank, decorations and all retirement benefits. This is the first time a serving three-star general has been court-martialled in the history of Indian armed forces. While a few other Lt-Gen rank officers have been indicted in ration and other scams, none of the courts martial could actually commence before they retired. 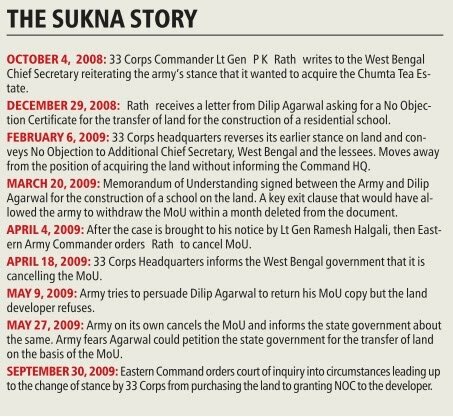 Lt-Gen Rath, incidentally, was all set to take over as the new Army deputy chief (information systems and training) in November 2009 after commanding the crucial 33 Corps based in Darjeeling district of West Bengal, under which the Sukna military station comes, when the case exploded in Army`s face. Since then, the Adarsh and Kandivali-Malad land scams have also rocked the armed forces. 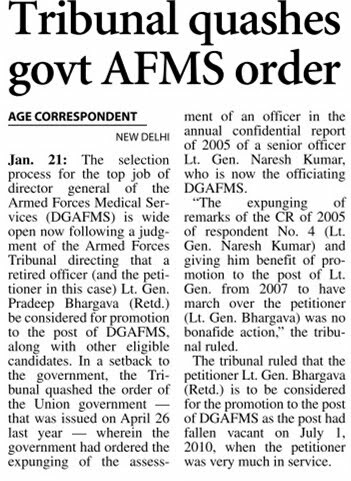 The seniormost of the four indicted generals, Lt-Gen Avadhesh Prakash, who was Army chief Gen Deepak Kapoor`s close aide as military secretary and later retired in January 2010, will be the other officer to undergo a court-martial now. Lt-Gens Prakash and Rath were charged with conspiring to aid the transfer of the 71-acre Chumta tea estate adjacent to Sukna military station to real estate developer Dilip Agarwal on the pretext of opening an educational institute affiliated to the Ajmer-based Mayo College, in complete disregard of all security and other norms. With the conspiracy being detected before it could be executed, it was found that Agarwal was Lt-Gen Prakash`s family friend and the military secretary ``influenced`` Lt-Gen Rath to favour the realtor`s ``vested agenda``. 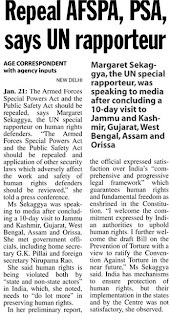 Lt-Gen Rath, said the inquiry report, ``fast-tracked all actions`` to favour Agarwal ``by affirmative endorsements``. The court martial held Lt-Gen Rath guilty for issuing the `No Objection Certificate`, signing of the MoU with Geetanjali Trust for construction of the educational institute and failing to inform the Eastern Command about the proposed agreement. ``We will wait for the final outcome before deciding what to do next. 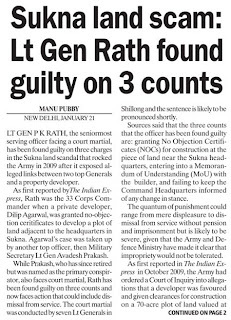 Lt-Gen Rath has been found guilty only of procedural lapses. He has been cleared of the four more serious charges of intent to defraud and others,`` defence counsel S S Pandey told TOI. 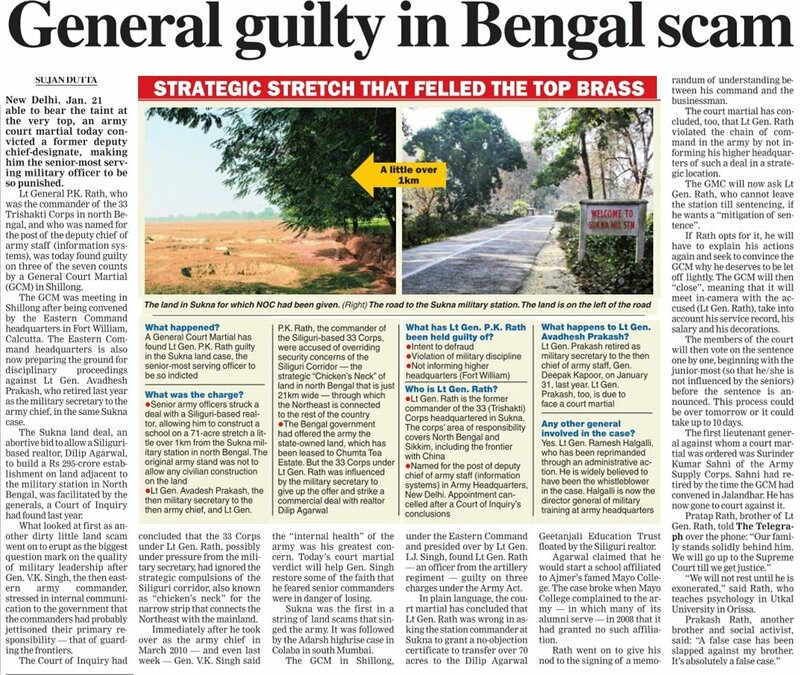 The other two generals, Lt-Gen Ramesh Halgali and Major-Gen P C Sen, and four other officers named in the case only faced administrative action for failing to do proper ``staff work`` in the chain of command. While Maj-Gen Sen retired last year, Lt-Gen Halgali has since been rehabilitated by present Army chief Gen V K Singh and is currently the director-general of military training at Army HQ. The case, of course, also led to an unseemly rift in the top Army brass. Gen Singh, who was the then Eastern Army commander and took over as the Army chief in April 2010, had locked horns with Gen Kapoor, who was perceived to be dragging his feet in the case. Defence minister A K Antony, in fact, had to himself step in to overrule Gen Kapoor`s decision to only take ``administrative action`` against Lt-Gen Prakash, rather than the harsher ``disciplinary action`` in the shape of a court martial. Pak should learn from India: PML Jan 22 2011 Islamabad, Jan. 21: The Pakistan Muslim League (Nawaz) has asked the Pakistan People’s Party (PPP) led government to “learn lessons from India”, where the Army Chief appeared before the Public Accounts Committee in connection with functioning of canteens. “I think the government needs to learn some lessons from India where the Army Chief was summoned by the accounts committee and he appeared before it,” PML-N’s chairman of the Public Accounts Committee, Chaudhry Nisar Ali Khan, who is also the leader of the Opposition in the National Assembly, said. “We should learn a lesson from the example of India where, on being summoned, the Army Chief appeared before the PAC although the case was about a minor charge,” he said. Pakistan has been directly ruled by the military for more than half of its age since 1947. Mr Khan was reacting to an audit of the defence ministry that related to the Defence Housing Authority, where defence secretary, Lt Gen. (Retd) Athar Ali, was criticised for not fixing cases of failure to attain targets. The heart of the matter Irfan Husain (6 hours ago) Today WHEN we learned via WikiLeaks that the Indian foreign secretary thinks the Pakistani military is “hypnotically obsessed” with India, we were hardly shocked. Over the years, many (including this columnist) have commented on this obsession. Why, they have repeatedly asked, does the Pakistani army not thin out its troops along the Indian border in order to face the more immediate threat in our tribal areas along the Durand Line? After all, India is highly unlikely to attack Pakistan while we are preoccupied with the jihadi threat. The reality is that the Pakistani officer corps has been trained to view India as our primary foe. 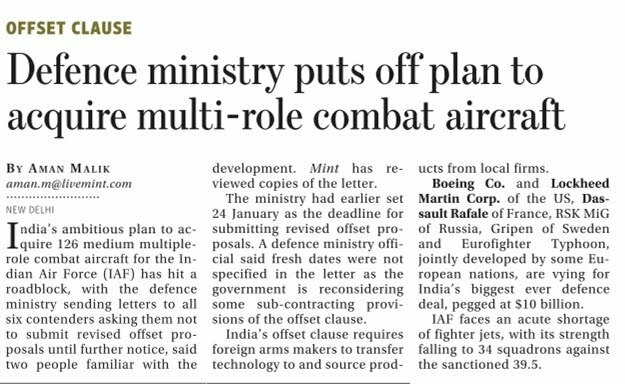 But more importantly, defence planners everywhere analyse the capability of potential enemies, not their intentions. In this calculus, India looms large on our military`s horizon. 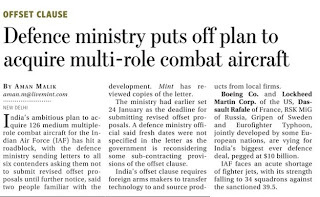 In most countries, while the defence ministry carries out analyses of dangers posed by possible foes, it is the foreign office that assesses their intentions. Based on these two inputs, the political leadership decides on resource allocations to the military, keeping in view budgetary constraints as well as the needs of the social sector. These competing demands are mediated first in the cabinet and then debated in parliament before being approved through a vote. The budget document that emerges at the end of this process reflects the priorities and constraints agreed upon by all major stakeholders. In Pakistan, however, budgetary allocations are skewed by the fact that the army plays such a dominant role in the process. Not only does it assess military risks, but it evaluates intentions as well. Finally, it virtually dictates to the government what resources it wants. Such is its stranglehold over the institutions of the state that the single-line entry for defence in the budget is not even debated in the National Assembly. Ultimately it is the allocation of resources and the taxation structure that reflect the true distribution of power. In Pakistan the military siphons off the lion`s share of resources and the feudal class pays no taxes, while the business community gets away without paying anywhere near what it should. In this sense, both our income and expenditure are off-kilter. This state of affairs has persisted for decades, and its effects are obvious in the shape of a poorly educated, undernourished population with high levels of unemployment. Whether we talk about the dangers posed by home-grown terrorists in the tribal areas and southern Punjab or about gangsters in Karachi, we need to ask what options these young killers have. They have effectively been denied any meaningful education and the opportunities that would flow from it. We criticise the mushrooming of madressahs but fail to tell poor parents where they should educate their children in the absence of the required state investment in education. So when the country is near collapse, we should not just wring our hands over the end result but look at the causes behind it. And these are, I fear, all too evident: it does not require a rocket scientist to point out that when the state is unable or unwilling to invest in its people, frustration and poverty will drive them to desperation. But it is not very helpful to go on beating the drum about the army`s acts of omission and commission. After all, any institution that wields unchallenged power will use it for its own ends. Their vision confined by the blinkers of purely military threat perceptions, defence planners have failed to see that their `hypnotic obsession` with India has bred internal foes that the army is ill-equipped to fight. 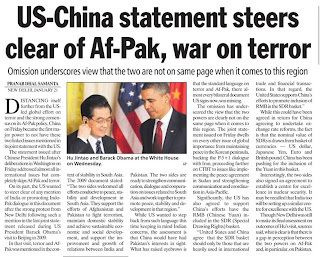 It is also true that India has done little to reassure Pakistan that it means us no harm. Over the years its defence budget has grown steadily and it has embarked on an alarming arms procurement and development programme. Whenever I have written about this, I have instantly been deluged with angry emails from Indian readers who loftily remind me that India is playing on a much larger stage and has preoccupations other than Pakistan. 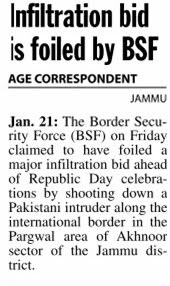 While this might be so, it is scant comfort to Pakistani defence planners who see a huge buildup on their eastern border. It would be irresponsible for any military commander to close his eyes to such developments in his neighbourhood, especially given the antagonistic history India and Pakistan share. Nevertheless, if Pakistan is not to become a failed state, it needs to get its act together. For starters, there needs to be a clear understanding of the factors that have brought us to the brink. Rampant population growth, illiteracy, corruption and lack of opportunity make a lethal mix. Thus far the military`s attitude is that none of these issues are its problems and should be addressed by politicians and government functionaries. But the reality is that after defence expenditure and debt servicing have scooped up around 90 per cent of the budget, there is very little left for the social sector. Until the military and the political leadership can negotiate a more rational division of resources, things will continue to go from bad to worse. The other side of the equation is the pressing need for a more equitable tax structure. Both policy changes need political will and a spirit of co-operation across the political spectrum. Currently, I see neither on the horizon. But if the military wants to become a part of the solution and not remain a part of the problem, it needs to wake up to reality. It is of little use to deter the traditional foe if a home-grown enemy is wreaking havoc against ordinary Pakistanis. Having paid heavily to sustain a huge military establishment over the years, surely we have the right to demand better protection than we have been getting. Had a guard I had hired insisted on manning the gate while a gang of armed robbers jumped over the wall to attack me and my family, I would have sacked him immediately. GOC visits Red Eagle Division on Jan 18-19 TNN, Jan 20, 2011, 10.23pm IST ALLAHABAD: Lt Gen SK Singh, Ati Vishisht Seva Medal, General Officer Commanding-in-Chief, South Western Command visited Red Eagle Division on January 18 and 19. The General is an alumnus of Rashtriya Indian Military College (RIMC), Dehradun, National Defence Academy ( NDA), Khadakvasla and IMA Dehradun. He was commissioned in to 2/8 Gorkha Rifles on December 24, 1972. He has attended Defence Services Staff College at Wellington and National Defence College at New Delhi. He has been Brigade Major of an Infantry Brigade, Assistant Military Secretary at Army Training Command, Indian Defence Attache in Embassy of India at Ankara, Turkey, Principal Director Administration in Strategic Forces Command, Deputy Military Secretary in Army Headquarters and MGGS in Headquarters Southern Command. He has been an instructor in Infantry School Mhow, IMTRAT Bhutan and DSSC Wellington. He has the privilege of being Colonel of 8 Gorkha Rifles (Sam's Own) since April 01, 2006 of which Field Marshal SHFJ Manekshaw, Padma Vibhushan, Padma Bhushan, MC was the first Colonel post independence. During his two day visit to Red Eagle Division, the General had a close look at the Operational Readiness of the formation. He was shown a number of new recreational facilities for all ranks which have come up recently. He also placed a wreath at the Red Eagle War Memorial in the memory of all soldiers who laid down their lives during various operations. The General also addressed all ranks of the formation and told everybody to uphold the high standard and values of Indian Army. He expressed satisfaction over the efforts put in by one and all in the Red Eagle Division. During the visit he was accompanied by Regional President, Family Welfare Organisation ( FWO) Kusum Singh. She inaugurated a children's park at the family accommodation for JCO/OR. She also interacted wit families of all ranks and enquired about their well being.